St. Thomas combines the natural beauty of the islands with an energetic, cosmopolitan atmosphere. 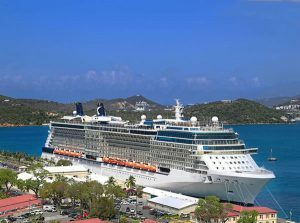 Charlotte Amalie, (pronounced a-MALL-ya) the capital of the United States Virgin Islands, is one of the most visited ports in the Caribbean and boasts one of the most beautiful harbors in the world. Situated at the top of the lift on Flag Hill is a complex that includes a café restaurant, a nature trail and several retail shops. Paradise Peak — a winding quarter-mile nature trail — gives visitors the opportunity to explore additional overlooks of the island.